The movie How to Train Your Dragon is all about overcoming generations of fear and seeing dragons as the enemy. The characters in the movie were able to evolve to a new way of thinking, and by training a dragon, the protagonist was able to use its powerful capabilities for good. 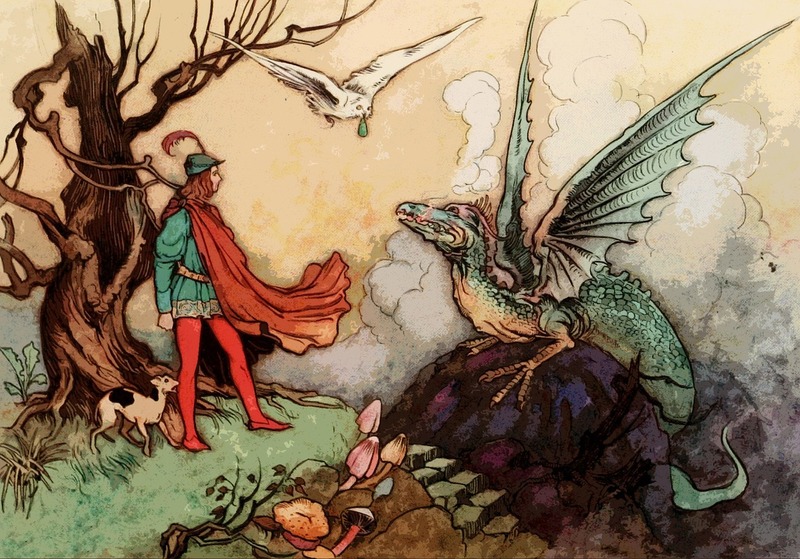 In the world of customer experience (CX), Interactive Voice Response (IVR) systems are like dragons and the customer experience leaders are the villagers. IVR is a mighty and long-standing part of the customer experience, but it must transform to prepare for the voice-activated future. While companies adopt digital means of sales and service, voice remains the biggest percentage of brand-customer interactions. For many consumers, a phone call is still the most convenient way to connect to a company, which is why companies are committed to maintaining voice as a channel. Virtual Personal Assistants (VPAs) or smart speakers continue to rise in popularity, and that has changed how many consumers approach tasks. From Siri, to Alexa, to Google Home, voice assistants are helping us get things done, from home, from our phone, or our connected car and speech technology will continue to evolve to recognize anything and everything, in any language. Traditional IVR systems have to be trained further to deliver transforming interaction patterns like seamless integration and conversation with VPAs or voice activated command through messaging platforms. IVR systems have to become more conversational in order to offer options for rich voice plus digital interaction options to customers. Thanks to artificial intelligence, old-school IVR can now be endowed with intuitive powers, and conversations can serve consumers with the speed and simplicity they expect. This transformation has already begun with “web aware” IVR, a system that understands when a consumer is logged into a website and uses predictive analytics to determine consumer intent. Web-aware IVR captures key information along the consumer’s journey so that when the consumer picks up the phone, the call is routed to an agent with the proper context. This reduces handle time and the need for the consumer to repeat information. But this only one element of making an IVR ready for the future. The next transformation from “traditional” IVR into a truly “conversational” IVR will involve seamlessly integrating with Intelligent Voice Assistants, like Google Home or Alexa, to book flights, compare products, resolve issues, or connect with a live agent when needed. This will give rise to the “recommendation system” of the future. However, there is a lot of work that still needs to happen on the back end in order to enable that future. Intent prediction—Web-aware IVR is achieved through the system’s understanding of customer intent—not just what the customer saying but also what the customer wants to do. A customer could more efficiently and effectively self-serve when the automation behind the IVR gets intent right. If what the customer wants is more complex, the web-aware IVR then makes it easier to route voice calls to agents with the correct skills to meet the customer’s needs. This reduces the need for customers to explain themselves in depth and reduces agent average handle time. But with the growing complexity of voice interactions, the ability of an automated system to recognize intent will be key in delivering effortless customer experience. Human and AI blending in automated customer service further helps with disambiguation of intent—the ability to understand if a customer is calling about a reservation to cancel or to just upgrade? This level of intent identification by IVR systems will ensure customers are always on a happy path during self- service. Natural language model training—Voice continues to be a top choice for consumers and they prefer a no-touch interaction when making a phone call. This drives the need to invest in natural language technology. Acoustic modeling and acoustic model variations can be quite complex—with variations based on background noise, regional dialects or accents, and idioms. You can look at how far we have come from when Siri was first launched to where we are today. We can see a vast improvement in the accuracy rate of understanding a voice command as published by The Loup Ventures. A key element in this transformation has been advancements in the Deep Neural Network (DNN) technology, which has dramatically improved the ability and accuracy of speech recognition in the most challenging acoustic environments. With the right investments and training IVR systems of the future will be able to handle calls in natural language irrespective of dialects and languages. With the right AI model training, future IVR systems will be optimized for customer characteristics such as age group, language and dialect patterns, education level, geography, etc. will become a more common way to create a personalized experience. Customer-understanding—Technology is becoming ever better at supporting global communication by enabling us to complete tasks in regions where we do not speak the native language. This is already in action with speech translation technology. The new Google Translate commercial showcases the power of technology to eliminate language barriers and help consumers perform tasks anywhere in the world. For intelligent IVR systems to understand customer intent, they need to understand the full breadth and depth of customers—how we’re all different—and alike. Data scientists are training systems of the future in biometric models, acoustics variation models so that they can be multilingual with the ability to translate multiple languages and understand the need to effortlessly switch from one language to another. And as we witness the evolution from customer to customer translation systems to consumer to business translation systems, the future IVR system could be embedded in your phone providing you with immediate translation requirements to get a task done no matter which part of the world you are in. Traditional IVR has transformed into one that predicts caller intent, adds digital and visual experience to the voice experience, reduces hold times with real-time transfers to chat, and speaks naturally with virtual assistants. This future is not far away if we invest in the right technologies and training.